RNA extraction and quality control of the extracted nucleic acid is crucial for sequencing, microarray analysis, or other genomic technologies. The CGF has established standard operating procedures for extractions to minimize degradation and contamination of precious patient samples. 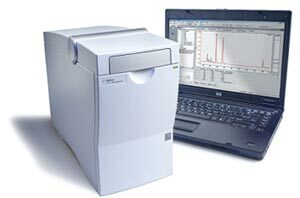 Quality analysis is performed with the Nanodrop ND1000 spectrophotometer, the Qubit Fluorometer, and the Agilent 2100 Bioanalyzer, which has become the industry standard for RNA quality assessment. RNA extraction tissue samples may be requested through the Hillman Tissue and Research Pathology Services (TARPS), and cell culture samples may be requested through the CGF (contact Patricia Petrosko). Fresh tissue should be flash frozen in 2.0 mL round bottom tubes or Nunc tubes in LN2 or dry-ice and maintained at -80°C until submitted to the CGF. Cells should be pelleted in 1.5-2.0 mL tubes, all supernatant removed, and then either: 1) flash frozen in LN2 and maintained at -80°C until submitted to the CGF; or 2) placed in RNAlater at 4°C overnight, then briefly spun down and the RNAlater removed, and then stored at -20°C or -80°C indefinitely until submitted to the CGF. 1. What type of samples can I submit for RNA Extraction? The CGF has experience in extracting RNA from a wide array of frozen tissue, cell culture and cell lines from both human and animal subjects, including metatstatic cases. Currently, we are working to develop extraction methods for FFPET and laser captured microdissection samples. 2. What RNA extraction method do you use? 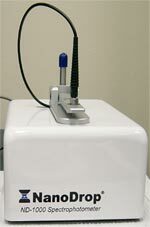 The standard and preferred extraction method of the CGF is the Qiagen RNeasy kit. This is a silica gel membrane extraction that utilizes a guanidine-isothiocyanate lysis to produce high quality, clean total RNA. 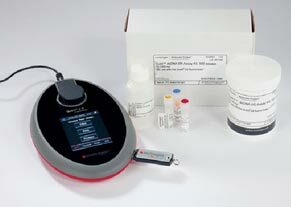 For microRNA extractions, the CGF uses the Qiagen miRNeasy kit. The miRNeasy kit enables co-purification of total RNA including miRNA or enrichment of miRNA in a separate fraction. At the request of the investigator, the CGF will perform a standard Trizol RNA extraction, however, this is not the recommended method. 3. How much RNA will I get from tissues or cells? The amount of RNA extracted varies and will depend on the sample type, the amount of sample submitted, and measures taken to prevent degradation at the time of collection and storage. 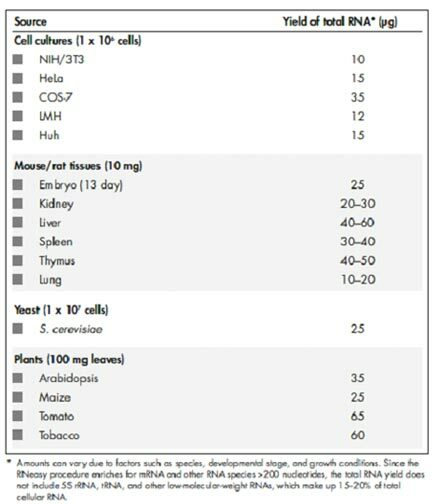 Although the lab cannot guarantee RNA quality or quantity due to previously described variables, typical yields for tissue samples of 0.2 mg range from 10-30 ug. Please refer to the chart below provided by Qiagen for typical yields. 4. Can I submit extracted RNA for cleanup? Yes, the CGF routinely performs cleanup on previously extracted RNA samples using the Qiagen RNeasy kits. 5. What sample collection methods should I follow to help minimize RNA degradation? For researchers who are collecting tissue on their own, we suggest a few guidelines to limit RNA degradation and ensure sample quality, which are outlined above.